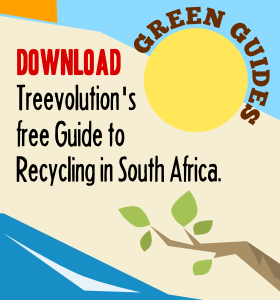 Here at Treevolution we believe information is a key part of growing the awareness of the benefits of recycling.With this in mind we have produced a guide to recycling in South Africa. This is an ongoing project that is constantly being updated and refined. We are also working on a book version of the recycling guide. Versions of this guide will be released every three months with the latest information. The first edition of the book is nearing completion and we are hoping to release this over the course of October 201o. If you would like to be told when the book is released please complete the form on the Treevolution home page. We’ll email you as soon as the book is ready. The first book will be followed by a series of other guides covering other important issues in making your life more environmentally friendly.